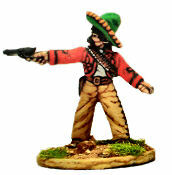 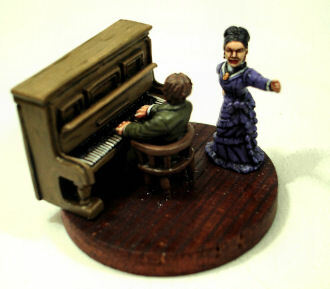 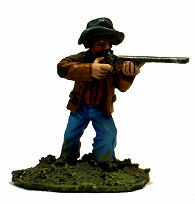 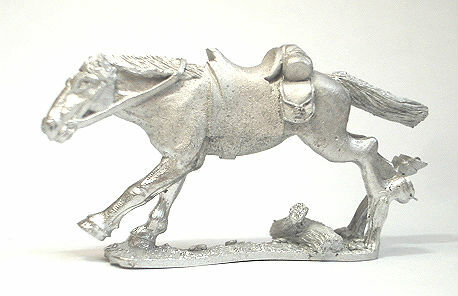 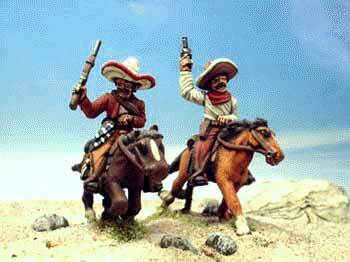 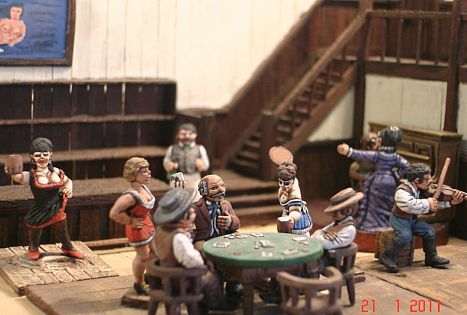 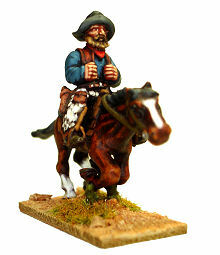 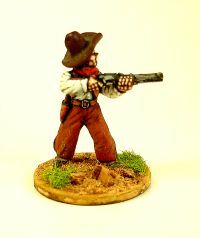 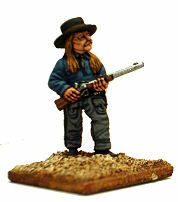 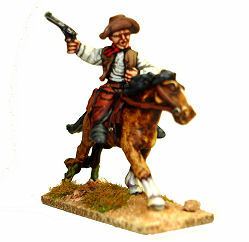 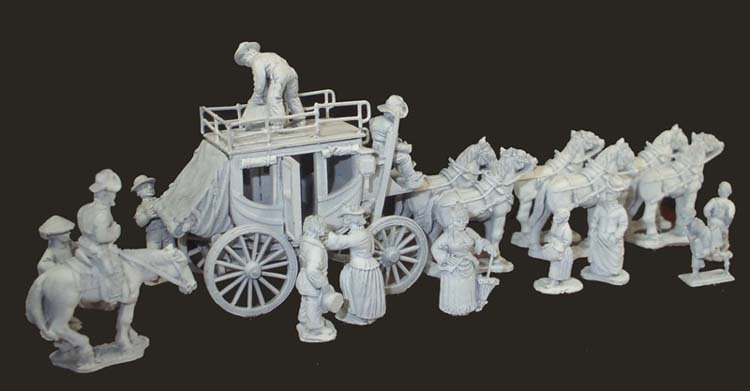 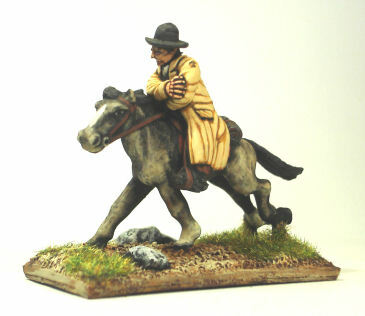 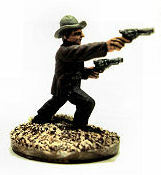 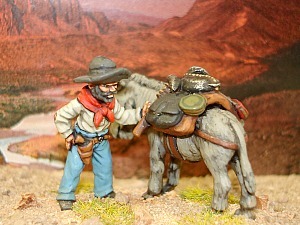 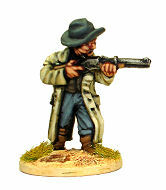 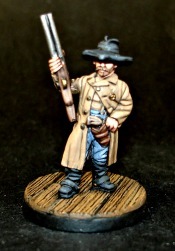 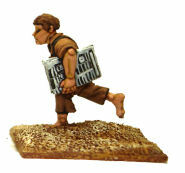 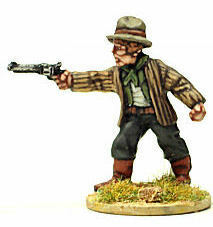 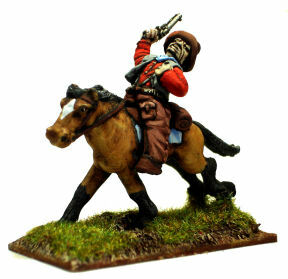 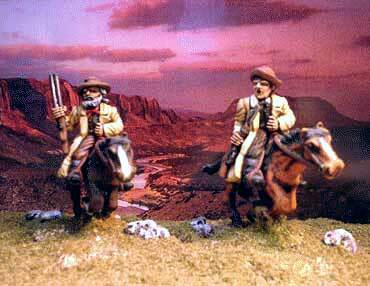 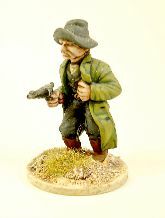 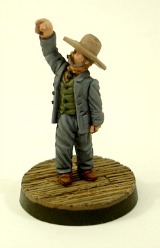 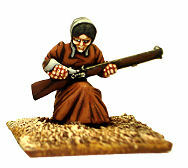 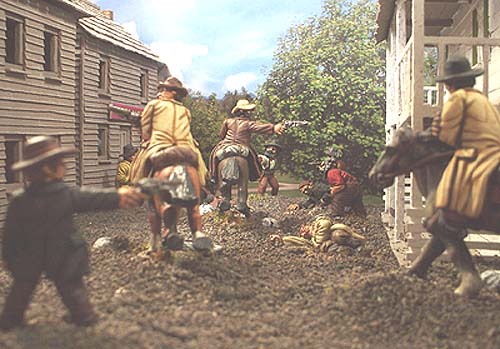 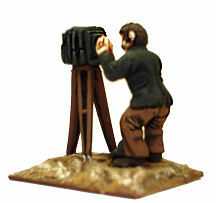 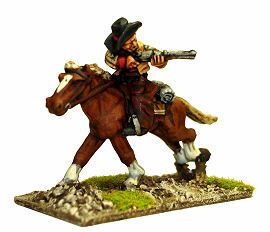 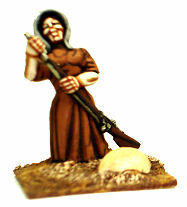 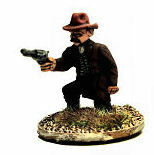 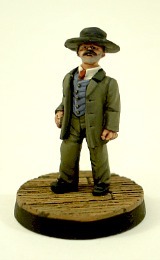 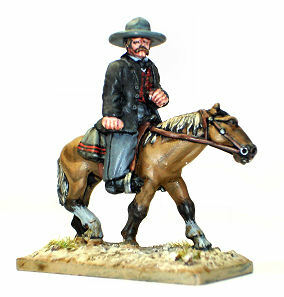 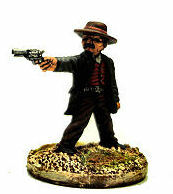 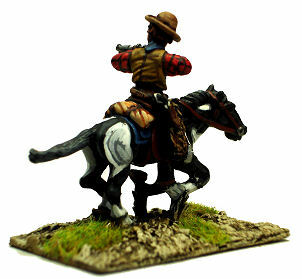 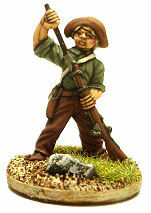 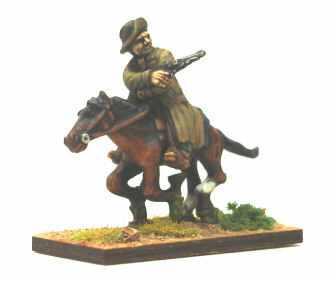 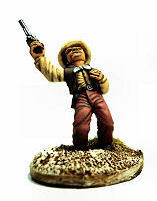 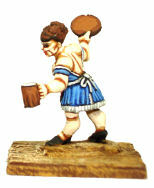 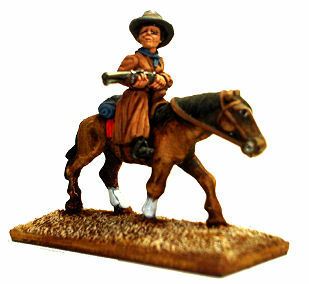 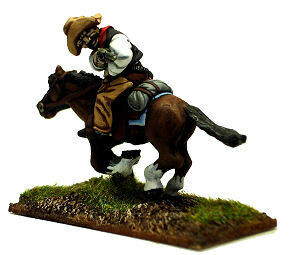 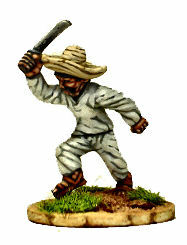 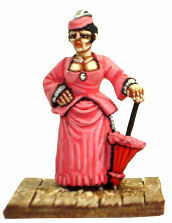 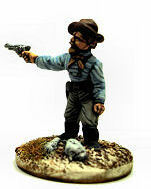 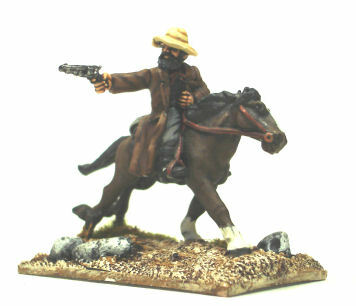 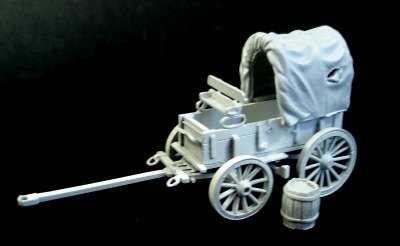 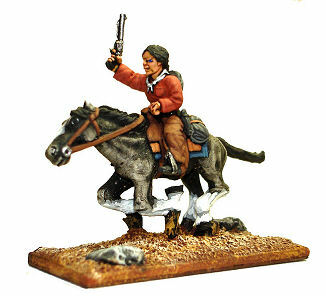 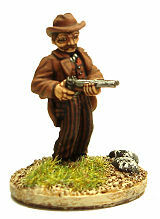 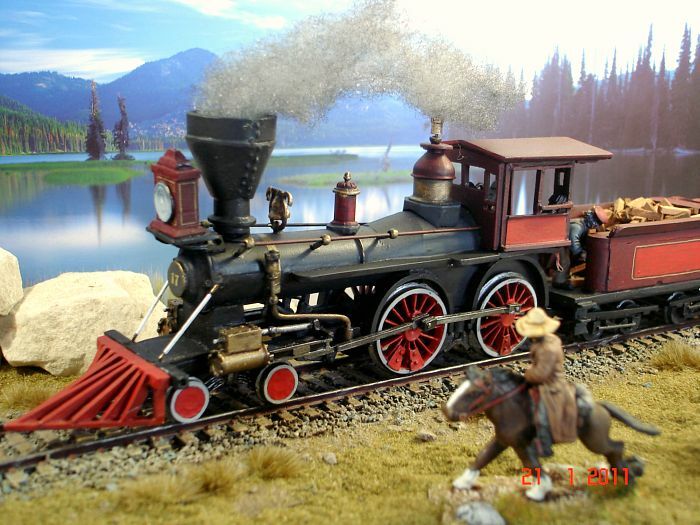 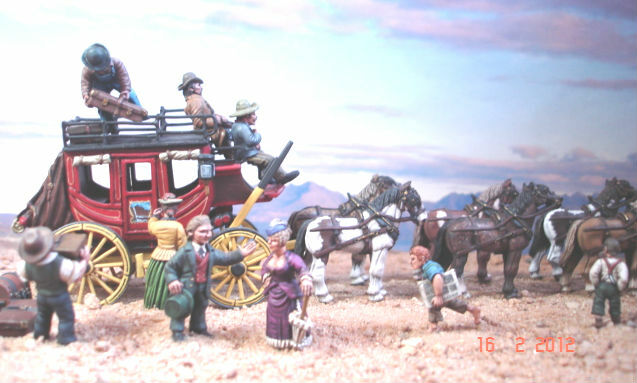 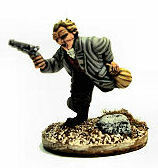 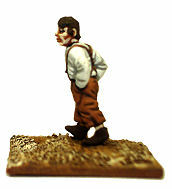 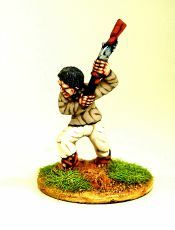 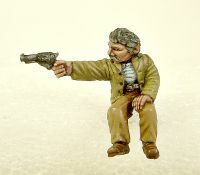 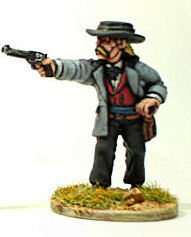 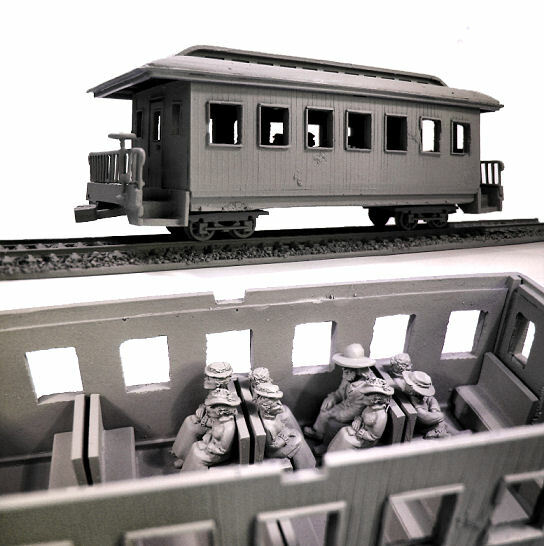 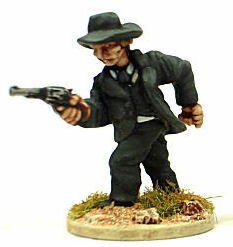 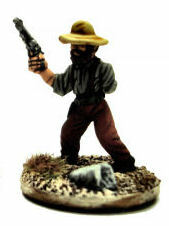 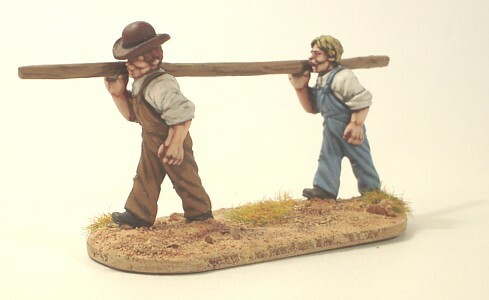 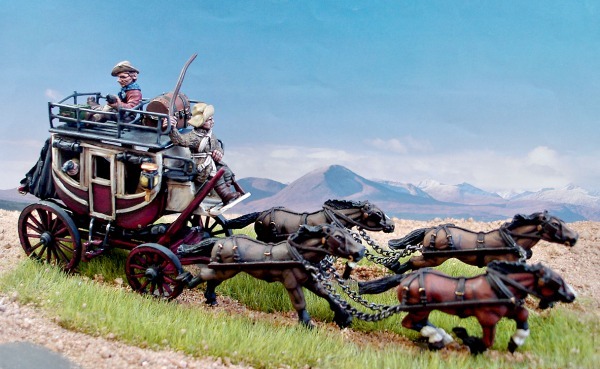 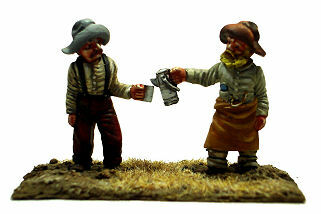 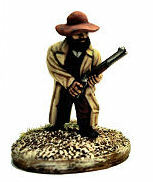 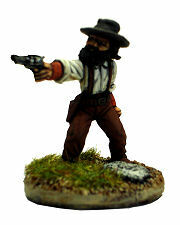 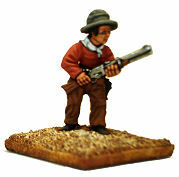 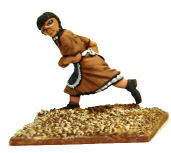 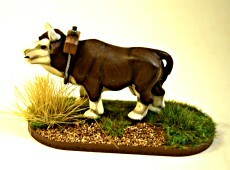 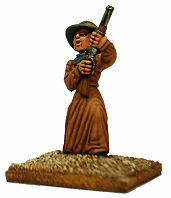 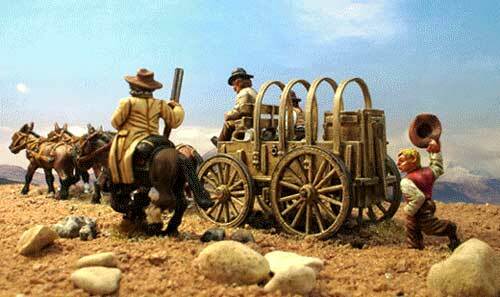 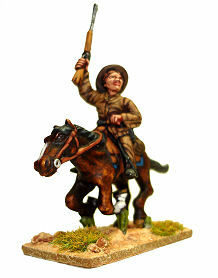 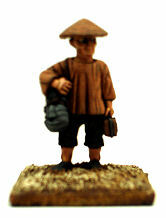 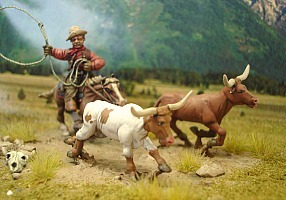 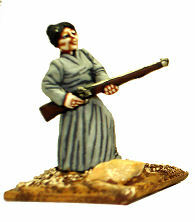 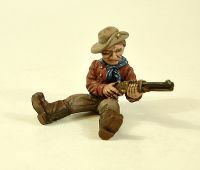 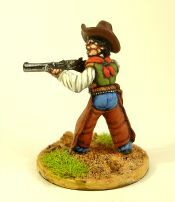 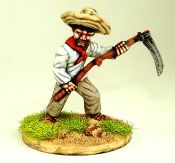 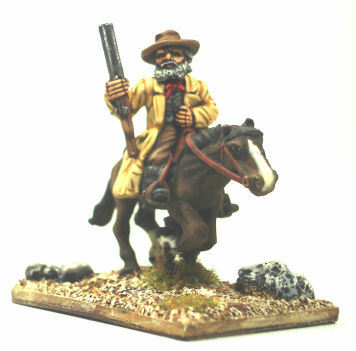 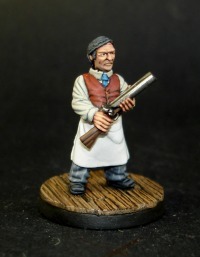 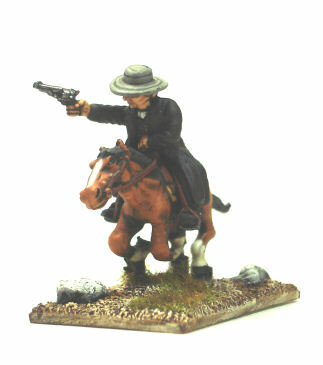 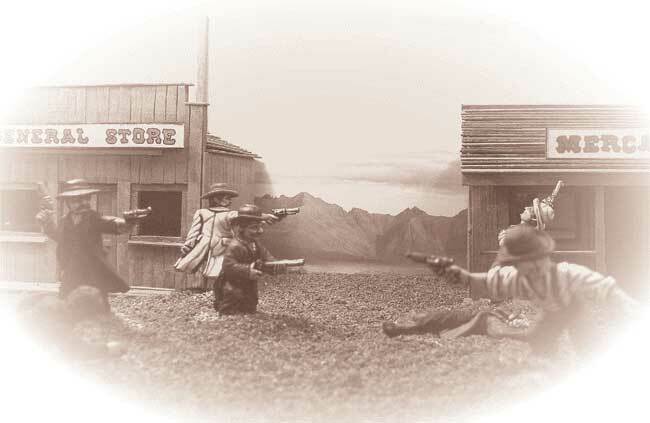 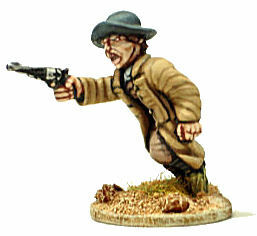 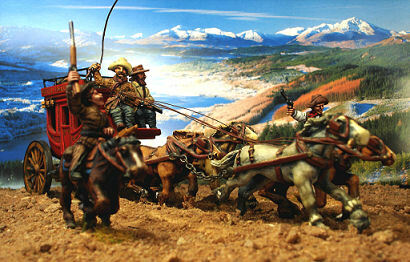 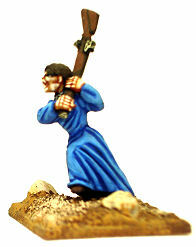 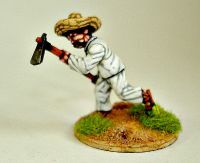 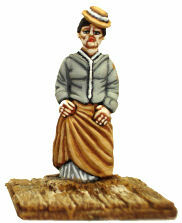 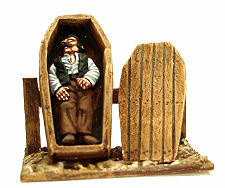 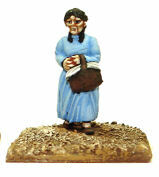 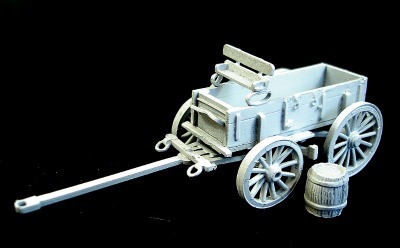 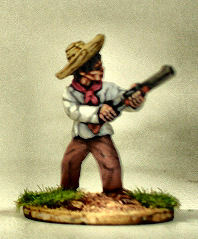 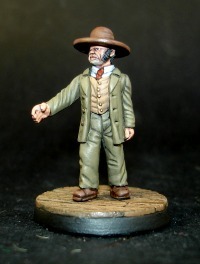 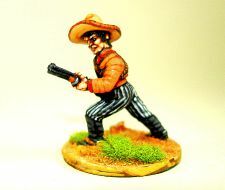 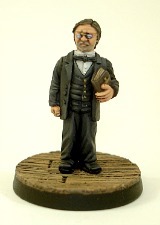 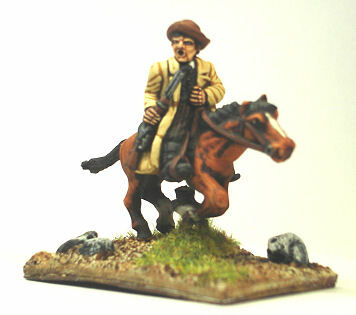 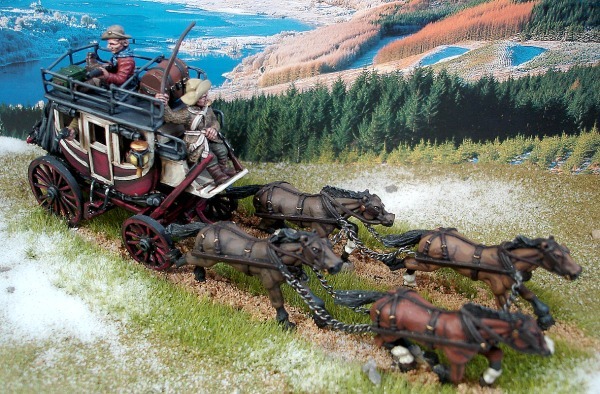 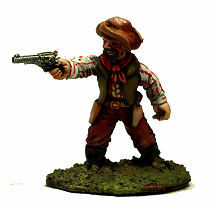 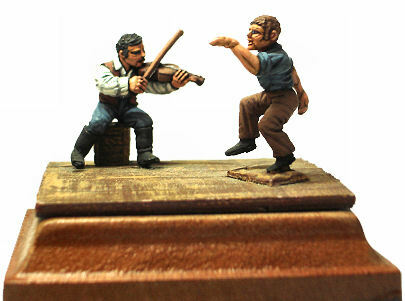 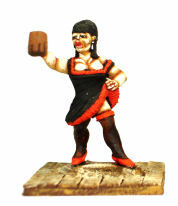 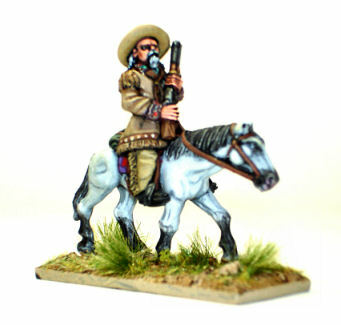 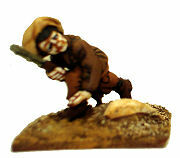 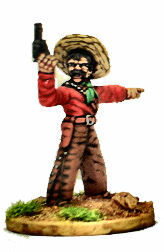 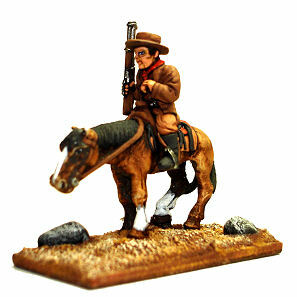 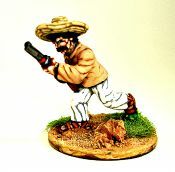 Old West - All our old west figures are a large 25mm scale. 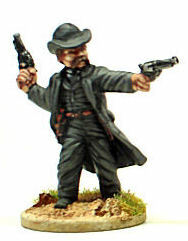 All figures have head variants (except dead men) with different faces, beards, moustaches and hats (small number bareheaded). 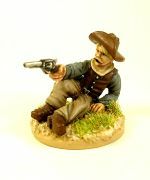 Gunfighters and Cowboys are cast with a number of head variants within each figure code (unless listed otherwise) providing different and interesting facial expressions with varied moustaches and beards etc. 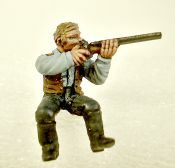 MWG2 (conversion) on H46 with LHS1+2. 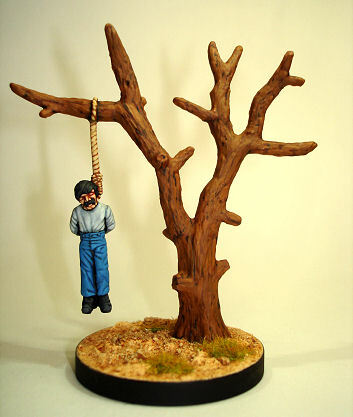 Painted by Adey Burt. 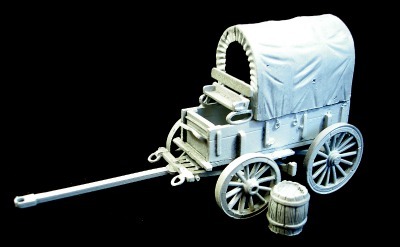 MTl is suitable for use with CWl - Chuck wagon or STGl - Stage coach. 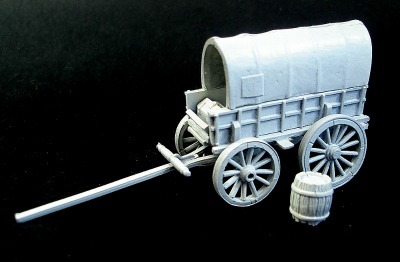 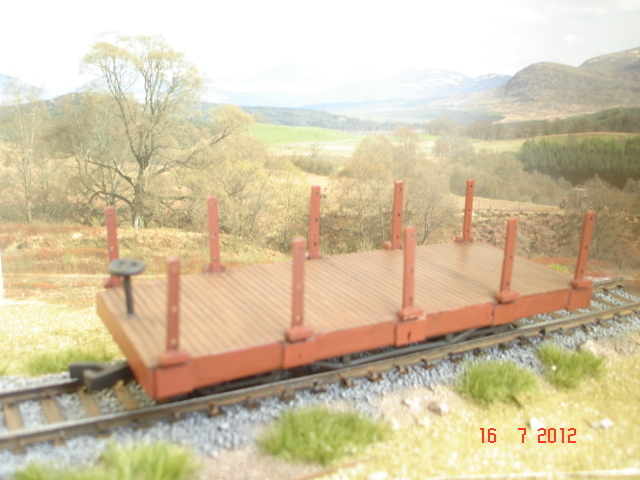 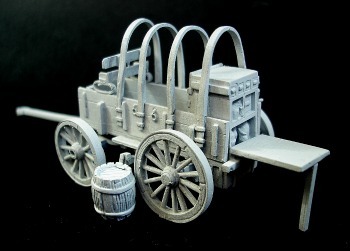 MT2 is suitable for use with CW2 Prairie schooner. 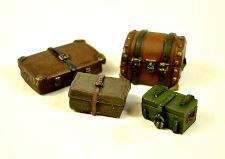 Compliment packs are made up from suitable figures and accesories within the range which compliment each other to make up a certain scenario. 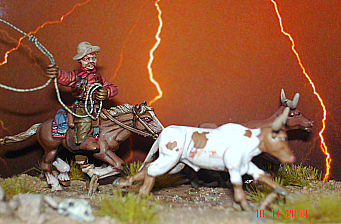 A cowboy tries desperatelly to round up spooked steers in a lightening storm. 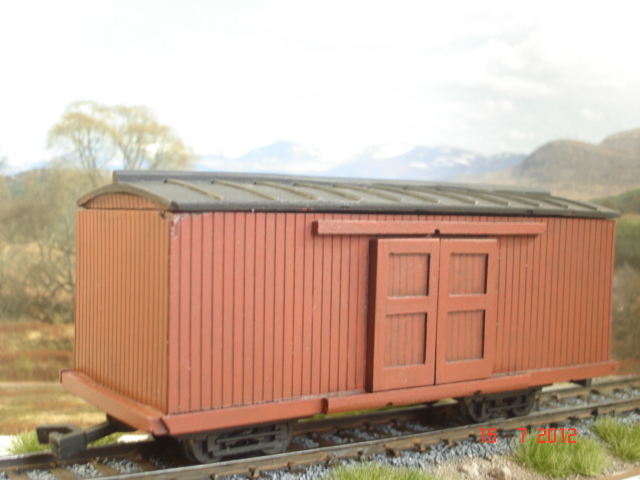 Conversion of MWG2 on H46 with LHS1 and 2. 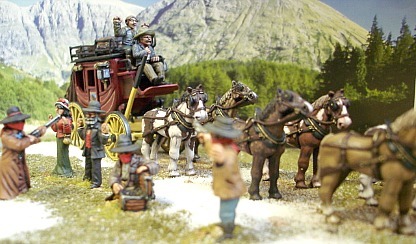 WILD WEST LOCOMOTIVE PASSENGERS AND CREW. 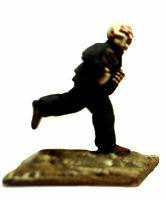 Page generated in 0.1502 seconds.